Who knew there was a way to make pizza healthy! I used to rationalize that as long as I had a hefty dose of veggies and didn’t request extra cheese, that my pizza was healthy, but this takes it up a notch. 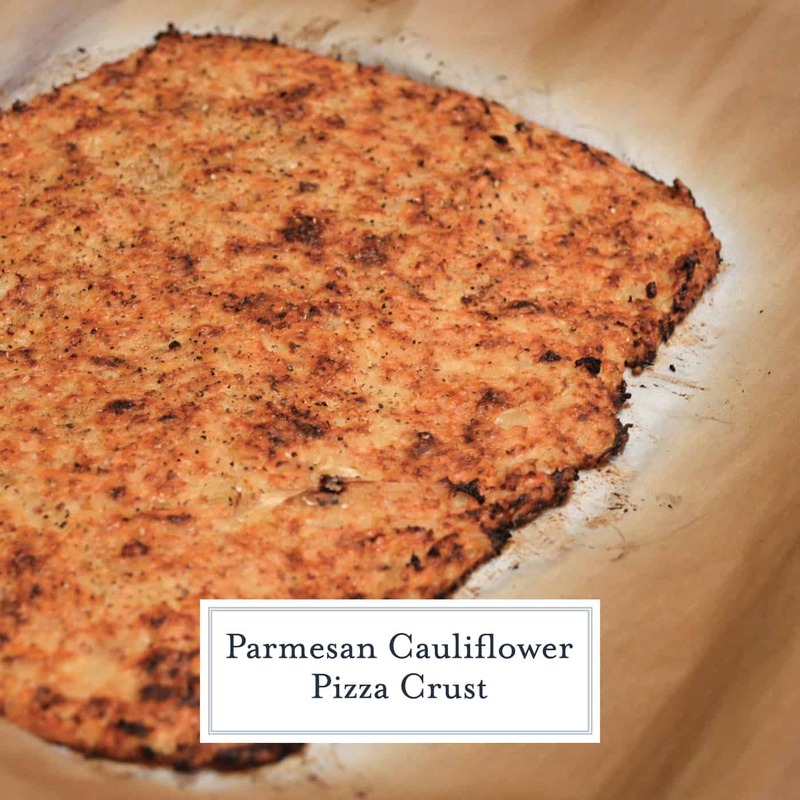 This Parmesan Cauliflower Pizza Crust Recipe is the secret to getting a perfectly crispy no-carb cauliflower crust. A delicious, healthy pizza crust alternative! The newest craze in pizza has been using a Cauliflower Pizza Crust. I did my homework and read comments, reviews and recipes and then did my own testing. Foodie friends, making a good cauliflower pizza crust is difficult! I am not here to discourage you. I am here to tell you that I’ve figured out the no-fail way to make your homemade pizza crust the best and avoid all of the issues others before you had. The main theme I saw was that cauliflower pizza crusts were soggy. Solution: squeezing out excess water in a tea towel. Other complaints included the crust not having any flavor or falling apart. Solution: Parmesan cheese. I enjoy a nice thin, crispy crust with some flavor. How did I overcome my barriers to make the perfect Cauliflower Pizza Crust? 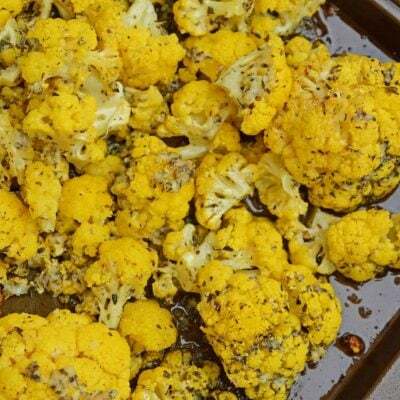 By roasting the cauliflower prior to removing the excess moisture, it brought out the natural flavors in the cauliflower and then adding nutty Parmesan cheese. A hard cheese that bakes up nice and crispy and also works as binder. and wring out as much liquid as possible in a tea towel. I also used Parmesan cheese seeing it naturally has less moisture and oil and therefore will crisp up well. Double whammy. Instead of the traditional Italian toppings, I made my veggie pizza into a Butternut Squash Pizza complete with caramelized onions, shaved zucchini, fresh mozzarella cheese and butternut cream sauce. I didn’t tell my husband about the crust and he didn’t notice; so my Parmesan Cauliflower Pizza Crust passed the ultimate test! 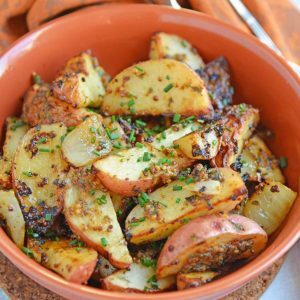 – This is one of those items I only use a few times a year for mashed potatoes, gnocchi and cauliflower pizza crust, but I am sure glad I have it when I dig it out! I also works well for smoothing out the yolks in Deviled Egg recipes! – great for pizzas in the oven, calzones or even making grilled pizza! It is also essential for reheating pizza and making it taste fresh! 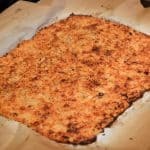 Is cauliflower pizza crust low carb? It is! By definition, this is a low carb pizza crust. 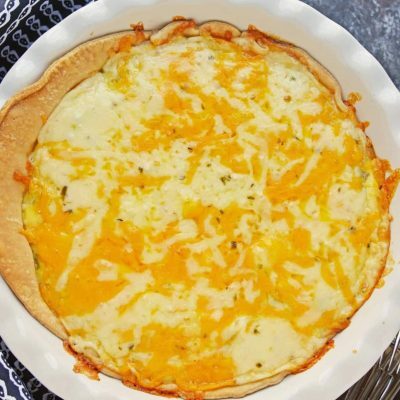 Is cauliflower pizza crust keto friendly? I beleive it is, but I am not a keto expert. If someone wants to chime in using the comments section, I’d love that ! Can I freeze cauliflower pizza crust? I’m not sure I would suggest freezing it after baking. It is still pretty delicate and will likely break. You could, however, freeze the cauliflower pulp mixture until ready to use. Is cauliflower pizza crust healthy? It is healthier than a doughy original pizza crust, but the definition of “healthy” is different for every person, so I am not going to label anything as purely healthy. Can cauliflower pizza crust be made ahead of time? It can, but not too far ahead of time. I would suggest making the cauliflower pulp ahead and putting it in the fridge uncovered. In fact, this will help it dry out even more. Then form and bake when you are ready to make your pizza. The crust is the most time consuming piece of the process. , but again, it is fairly delicate, so be mindful of that. 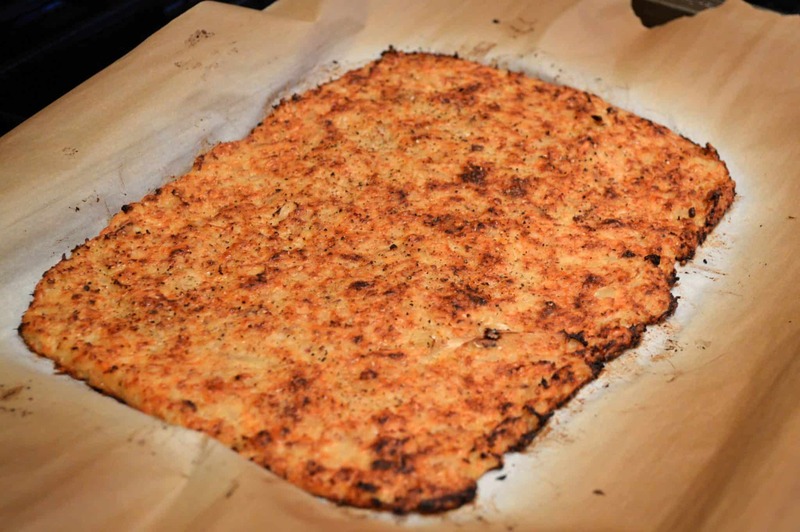 Is cauliflower pizza crust vegan? My recipe is not vegan, it includes an egg and Parmesan cheese as binders. But I am sure there are vegan versions out there! Do I have to use an egg in cauliflower pizza crust? I would strongly suggest you do as a binding mechanism. It is so hard to get it to stay together in the first place that not having that element would be crucial. Why is my cauliflower pizza crust soggy? 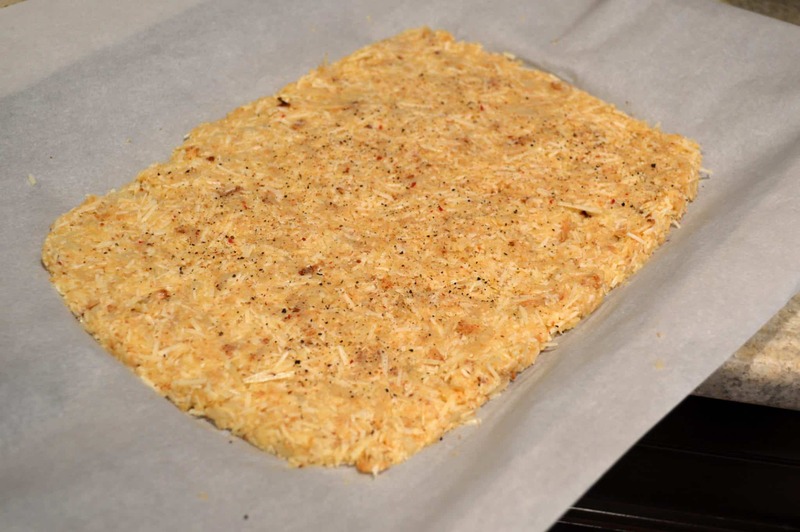 SCroll up- there are several paragraphs on how to prevent soggy cauliflower pizza crust! 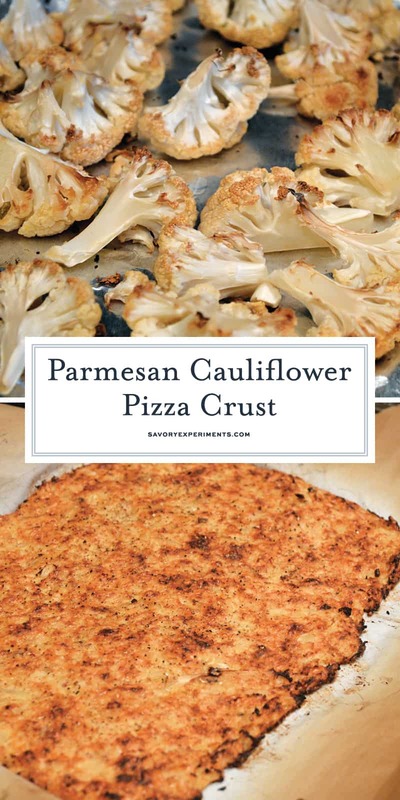 This Parmesan Cauliflower Pizza Crust is the secret to getting a perfectly crispy no-carb cauliflower crust! A healthy alternative to the usual pizza crust! Preheat oven to 350 degrees. Cover a large baking sheet with aluminum foil and lightly coat with Cooking Spray. 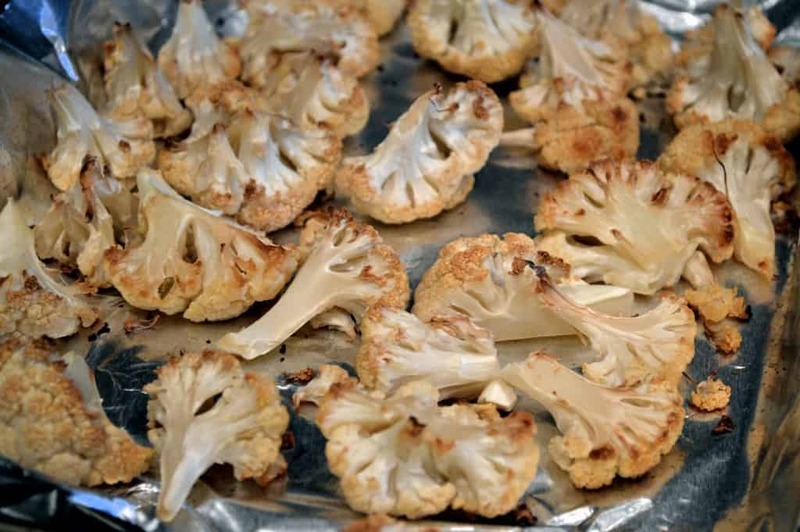 Arrange cauliflower pieces in a single layer. Roast for 15 minutes. Remove and flip, return to oven for an additional 10 minutes. Remove and allow to cool. Keep the oven on, but increase heat to 450 degrees. At this junction you can put cauliflower through a juicer, use Kitchen Aid with juicing attachment or put cauliflower through a potato ricer and then squeeze out moisture in a tea towel. Discard the liquids and keep the solids. In a medium mixing bowl, combine cauliflower, Parmesan cheese and egg until well combined. Lay a piece of parchment paper across a baking, rectangular or round will work. 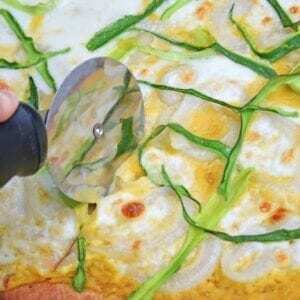 Turn cauliflower crust dough into the center of your baking sheet. Using a spatula or the backside of a spoon, spread mixture out to a 1/4 inch thickness. It doesn't have to be perfect in shape- imperfections give it character! Alternativy, you can use a preheated pizza stone and omit the parchment paper. Just be careful to not burn yourself! When all spread into your desired shape, season with table salt and freshly ground pepper. Pop into the oven for 15 minutes. Crust should be brown and crunchy. Ovens and amounts of liquid vary, so your crust may need an additional 5-10 minutes to achieve the right consistency. 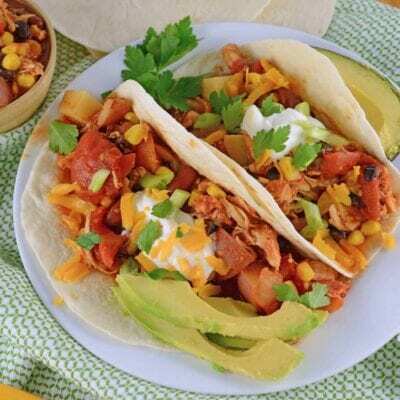 Remove and add desired toppings. Lower heat to 350 degrees. Place Cauliflower Pizza crust with desired toppings back into the oven until chosen cheese melts (8-10 minutes). 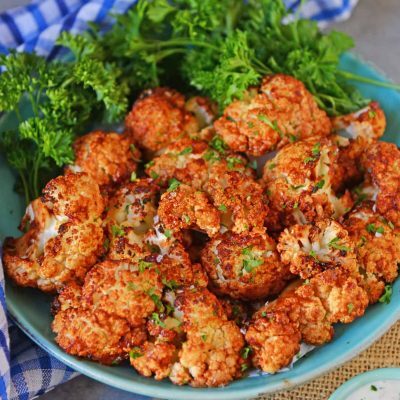 I wish I could eat cauliflower, I love it so much! But my stomach just doesn’t appreciate it as much as my taste buds do. This is a GREAT way to get the kids to eat more veggies though, I may give it a try for him. It looks crispy and delicious! I’ve heard so much about cauliflower crusts! I definitely need to try this! I love the idea!! I will make that too!! Fabulous! How did it turn out?